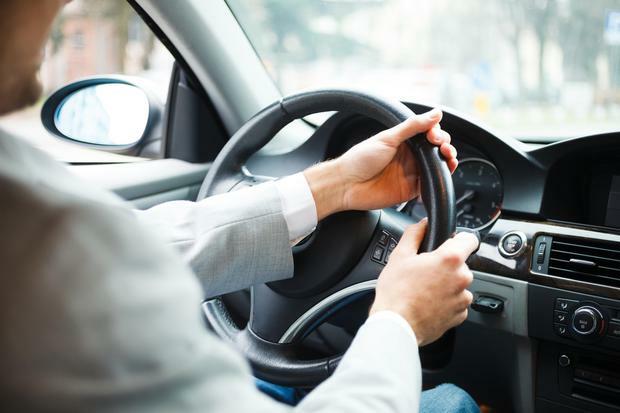 Drivers who are taking their chances without insurance may have to consider taking a lift in future. That is because gardaí are set to get a new piece of technology that will help them quickly identify those risking driving without insurance. Motor insurance is a legal requirement for anyone taking to the road in a vehicle. But every year around 150,000 people put their foot to the accelerator without cover. Some can't afford to get insurance, such is the cost of cover. But others take a risk they will not be caught, chancing their arms that they will not be stopped by gardaí. Many others have fake insurance discs. Windscreen discs are a gift to fraudsters. It is almost comically easy to print a passable fake that will pass the Garda torch test, which is as close as they ever get to real scrutiny, according to Conor Faughnan, of AA Ireland. But the days of the dodgy drivers passing the Garda torch test with a fake insurance disc are thankfully coming to an end. Gardaí are being armed with a "hotlist" of uninsured drivers to clampdown on rogue motorists driving up premiums for road users. Uninsured drivers will now have to contend with a specially designed app that will allow gardaí to check a driver's details at the roadside on their personal mobile phone. In a landmark move, an automatic roadside number plate computer system will be loaded with a database of all known insured and uninsured vehicles. This development is not before time. Honest drivers are collectively shelling out €60m a year for the accidents caused by uninsured and unidentified drivers. This works out at around €30 per premium. At last, a road block is about to be put in the way of the uninsured chancers. Insurers must now respond by passing on the savings to drivers that result from having to make lower payments from customer premium incomes to the Motor Insurers Bureau.